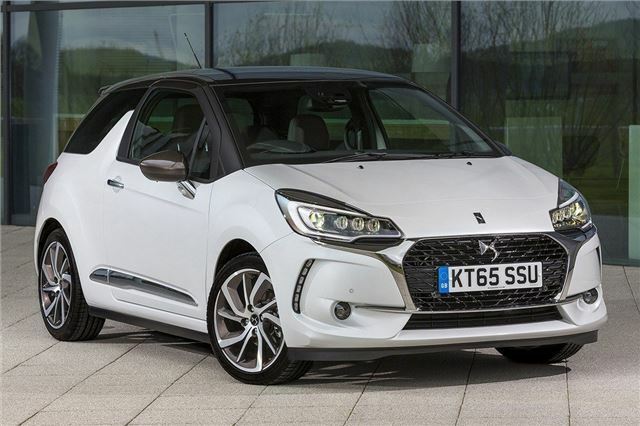 The DS 3 is the final model to lose its Citroen badging, as DS becomes a brand in its own right. 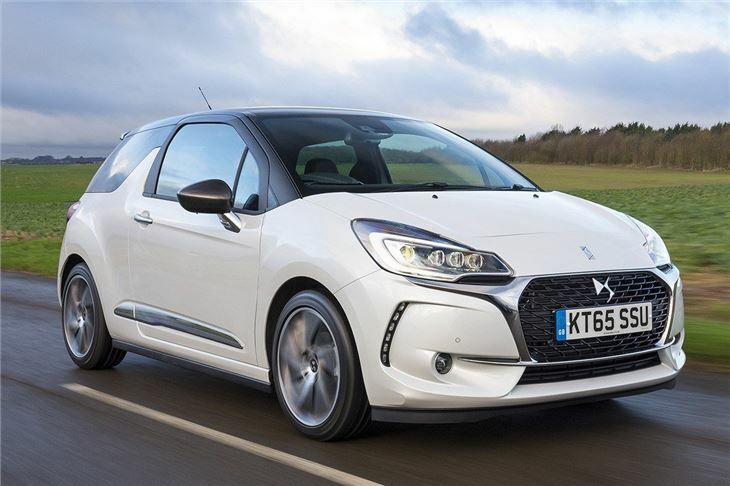 It’s easily the most important car DS sells – as a Citroen it was more popular in the UK than anywhere else in the world, including its home market of France. So, understandably, it’s still recognisable, despite the change of brand. 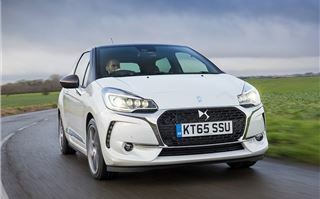 DS hasn’t just taken a chisel to the Citroen bits of the existing car and called it a day though – there are new engines, plus the cabin has been overhauled with a new touchscreen system and more safety tech like autonomous emergency braking. The infotainment system now supports Apple CarPlay and Android Auto, so you can pair up phones more easily and access more functions, like music streaming. The addition of the new screen means there are fewer buttons on the centre stack, which is a good thing - but the gap where the old audio controls used to live has been made into a tiny, pointless cubby hole that isn’t big enough for anything much at all. It feels like a bit of an afterthought, like the tiny glovebox, which is half taken up by the fuses. 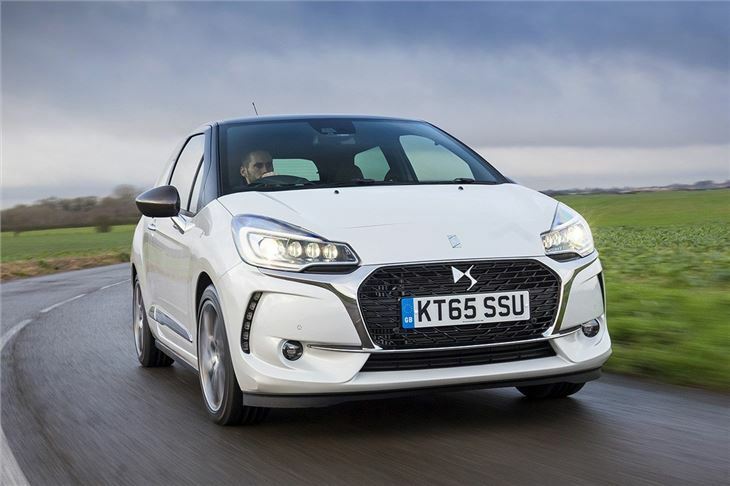 Aside from the new infotainment system, the cabin is broadly the same as ever, so it’s a surprise it still looks up-to-date, despite the original DS3 arriving on the scene six years ago. Most materials feel fairly solid and durable and there’s a nice soft-touch dashboard covering, though it is possible to find areas where corners have been cut – the plastics low down, for example, aren’t particularly strong. 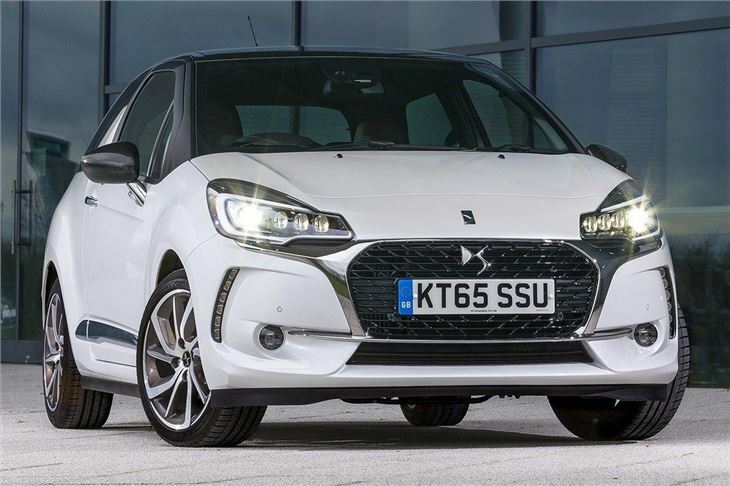 The DS 3’s engine range has evolved over the past few years, so there is a good, competitive range of petrol and diesel variants to choose from. We concentrated on the 110PS 1.2-litre PureTech petrol for this test, but there are petrol options with outputs ranging from 82PS to 210PS. 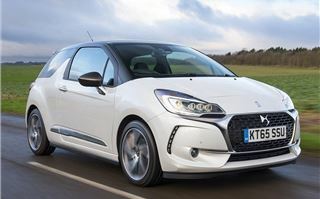 The latter is only offered in a new hot variant called DS 3 Performance. There are also two BlueHDI diesels, one with 100PS and one with 120PS, but the three-cylinder PureTech petrols will suit most buyers perfectly. 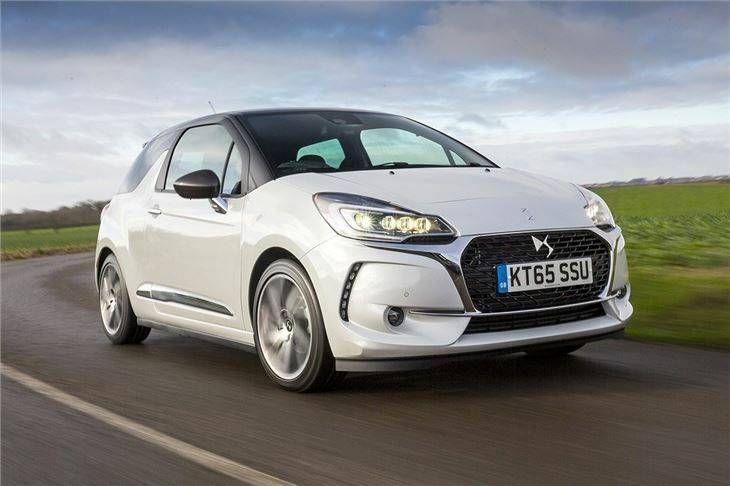 The 110PS 1.2-litre three-cylinder model we tested gets from 0-62mph in 9.6 seconds and has emissions of 100g/km, with official fuel economy of 65.7mpg. Peak torque of 205Nm is available from 1500rpm, so even from a standing start the engine feels responsive and it provides enough acceleration for overtaking, plus it’s quiet enough for motorway cruising. The only quibble is a slightly sloppy five-speed manual gearbox and a high clutch biting point – but it doesn’t take too long to get used to. 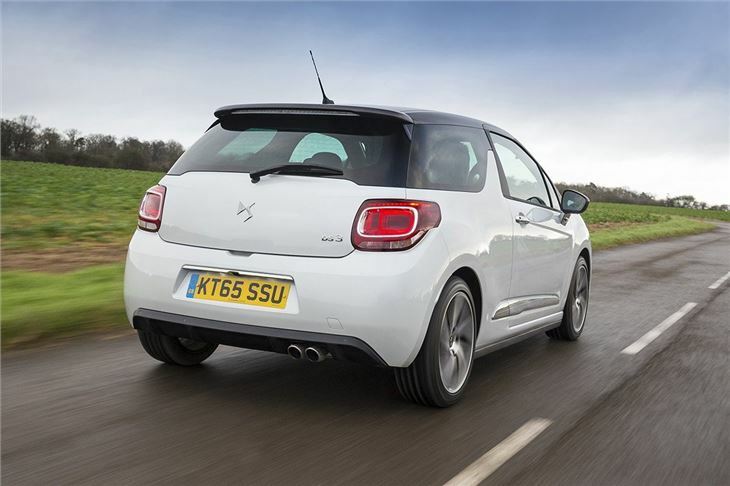 Handling-wise the DS 3 is as fun as ever. The steering is a little on the light side, but it makes the car feel nimble and agile while the suspension, albeit slightly on the firmer side of comfortable, keeps body roll in check through corners. It’s not as fun as a MINI, which has keener steering, but it’s still a great little car to drive, in town or in the countryside. 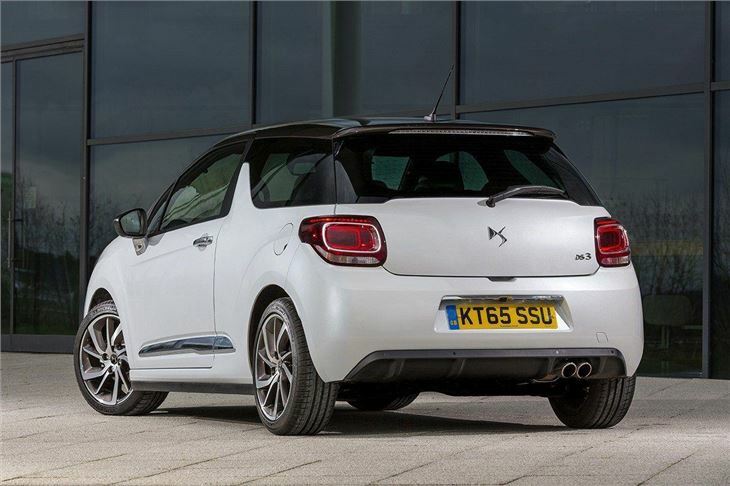 Those who want some extra extravagance from the DS 3 can opt for the Cabriolet, which has a retractable fabric top. It is more than a glorified sunroof, but it isn’t quite a proper soft top and it does seriously hamper access to the boot – but it’s a lot of fun in sunny weather. Avoid it if you want to carry anything big though - it simply won't fit. Fortunately the hatchback model is altogether more practical. The boot has a volume of 285 litres and is a good shape, so for shopping or trips away it’s fine. 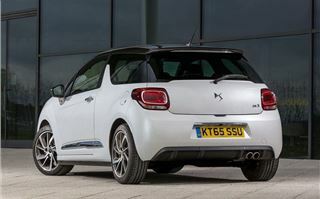 The back seats are surprisingly spacious too, though the DS 3 is a three-door model only, meaning access to the rear row is fairly tight. Children will be fine, though, with enough leg and headroom once they've squeezed past the front seats. 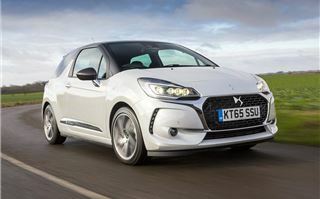 If you’re keen on a DS 3 then it’s worth remembering the competition, which is stronger than ever. MINI has a broader range of models with just as much style and customisation, while Fiat has recently given the 500 yet another once over. There are also fun, affordable crossovers to consider like the Renault Captur, all with plenty of customisation options. But the DS 3 is as good as it ever has been, despite losing its Citroen badges. It's good to drive and it's available with a huge range of customisation options, inside and out. 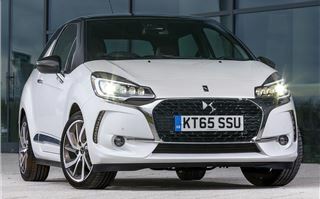 With the added benefit of better technology and a better selection of engines, the DS 3 still feels modern and up-to-date, so now is as good a time as any to buy, despite the design being six years old.